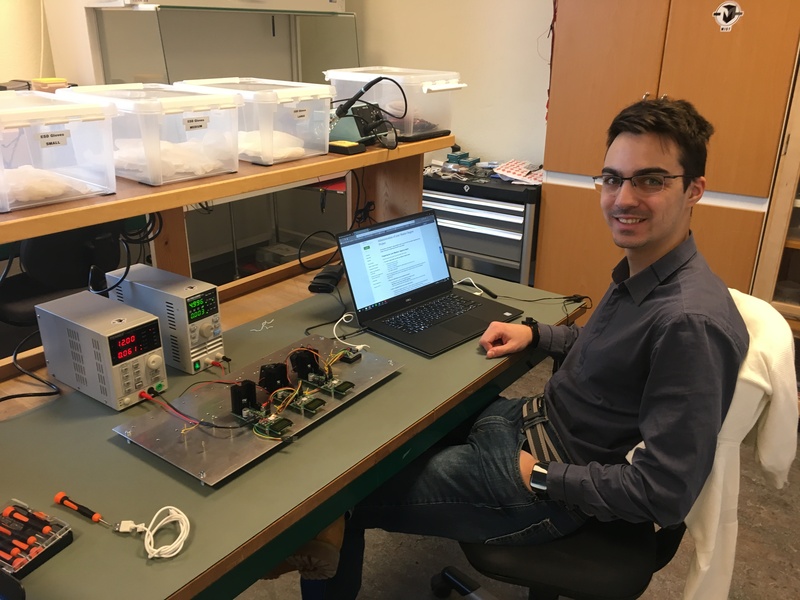 In January 2019 the first full-orbit power simulation using the Solar Panel Simulator (SPS) developed by student Gustav Pettersson was conducted. The SPS mimics the beaviour iof the solar panels as if thery were in orbit and takes into account orbital position, solar illumination, mutual shadowing of solar panels and the Earth’s albedo. The SPS also mics the layout of solar cells and thhe resulting I-V-curve of each panel. 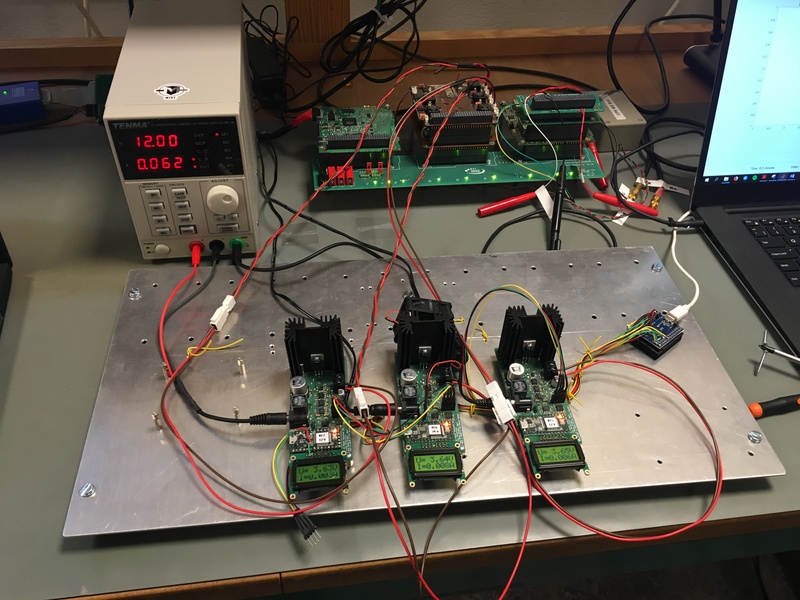 The simulator’s hardware part is connected to the three inputs of the Electrical Power System (in our case the GOMspace P31us and the battery pack BP4). M.Sc. theis student Stefano Barra conducted the test. The pictuyre below shows the SPS hooked up to the EPS which is part of subsystem stack mounted on a so-called Flatsat. You can clearly see the three connections to the EPS.